Combining French and British social and cultural influences, Jersey is the largest of the Channel Islands and provides an ideal location for a family holiday. Kids will love Jersey's wide sandy beaches and the traditional seaside attractions around friendly resorts such as St. Brelade's Bay and Havres Des Pas Beach. Daytrips to the neighbouring islands of Guernsey or Sark will offer the excitement of a boat trip as well. Inland, the island offers unspoiled countryside where walkers and cyclists can take advantage of 15 mph speed limits for cars. Coastal walks around many of Jersey's rugged headlands offer fantastic views and a chance to spot the abundant fauna and bird-life. 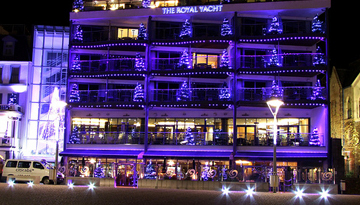 There are plenty of places on Jersey to relax away from the crowds, but the capital St. Helier has a good selection of bars, pubs and restaurant that cater for both families and couples wanting to enjoy a touch of holiday nightlife. The French influence on local cuisine is notable and an evening enjoying seafood at a waterfront restaurant is a great way to round off a day exploring the island. 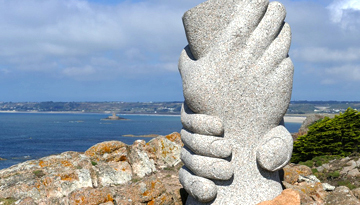 Expedia offers a easyjet flight to Jersey from London with lowest fares for £72 roundtrip. 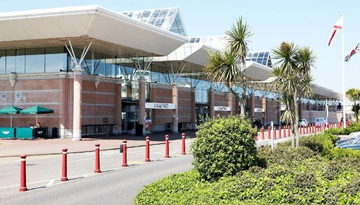 Fly from London - Jersey & Stay for 2 nights with 2 star accommodation. Room Only.